Ocean Science Consulting Limited (OSC) Marine Mammal Observer (MMO) and Passive Acoustic Monitoring (PAM) training course is approved by the New Zealand Department of Conservation (DOC), as being consistent with standards in the ‘2013 code of conduct for minimising acoustic disturbance to marine mammals from seismic survey operations’ (referred to as the Code, available here). The knowledge, skills and experience derived from the PAM element of the course is also applicable worldwide, rendering trained PAM course graduates the ability to work as PAM Operators internationally. The Code is regarded widely as international best practice, particularly concerning the establishment of observer training and performance standards. To meet DOC’s requirements, OSC have developed the most comprehensive and intensive training course on the market today. There is a current shortage of trained MMO and PAM Operators for New Zealand waters, so successful graduates will therefore have a significant commercial advantage. OSC’s high quality course involves responsive personal (including one-to-one) tuition throughout, hands-on experience with state-of-the-art PAM equipment during classroom theory and practical sessions, and field practice aboard a survey vessel at sea. 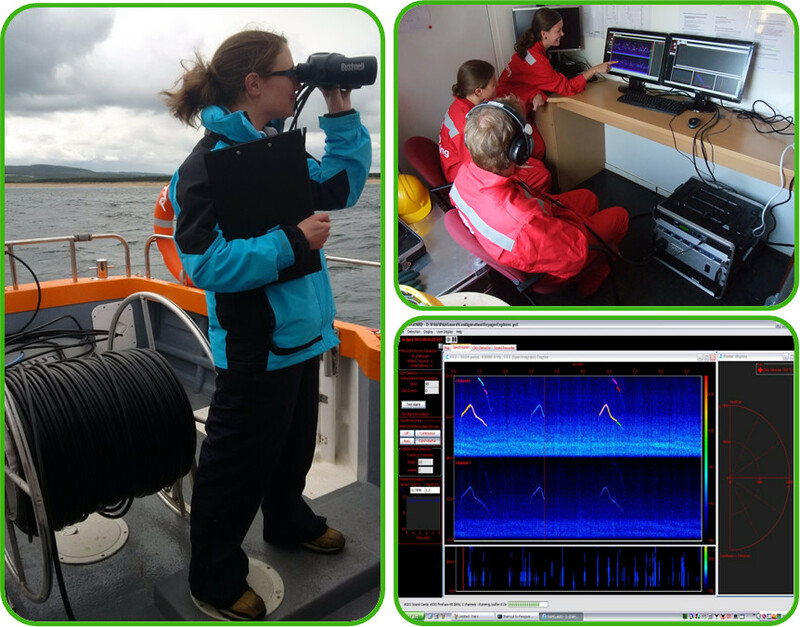 OSC’s course instructors are highly experienced and degree-level qualified scientists, practiced MMOs and PAM Operators, and authors of the ‘Marine Mammal Observer and Passive Acoustic Monitoring Handbook’ which forms the manual for the course. OSC’s knowledge and expertise is second-to-none, so this course is the obvious choice for anyone wishing to train and prepare as a competent MMO and PAM Operator to work in the field anywhere in the world (please note additional local qualifications and experience may be required). Please note that this is not simply an ‘attend-and-pass course’. In accordance with DOC’s requirements, successful candidates must achieve ‘results of 75% and above’, although we will provide further reassessment procedures for those initially scoring less than 75%. This high pass mark is a key selling point for successful candidates; furthermore, for candidates who preform exceptionally, OSC may have opportunities for employment and/or scientific research. Courses are scheduled periodically, or sooner according to demand. Potential candidates and/or O&G firms are welcome to suggest alternative venues and dates anywhere in the world, and courses will be organised if sufficient interest is generated. OSC are DOC-accredited to teach courses for both novice and experienced (with at least 12 weeks’ experience) MMOs and PAM Operators. All candidates will be expected to have their own equipment, including reticle binoculars (i.e. lens stencilled with measurements for range estimation), handheld GPS, ID guide, and a laptop pre-loaded with NZ data forms, software required for their GPS, and PAMGuard.